Electrolier chandelier creates the vivid contrast in itself, questioning the need of the intricate elements against simple and basic which serves for the same exact purpose. 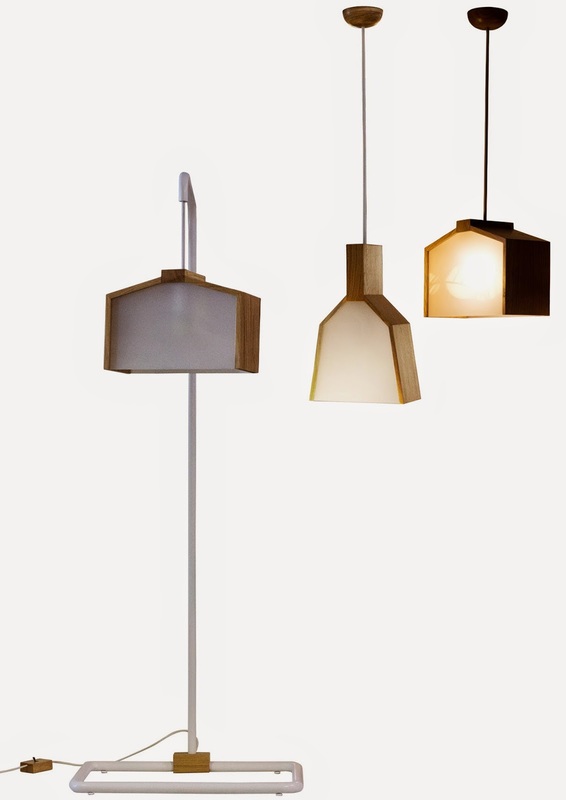 Ebb pendants represent the willingness to eliminate, to minimize the loss of the material, while maintaining the shape and size of the created product. It is the mix of two different ways of creating the same shape within one object; solid and outline. Another version of the Ebb pendant is made of molded plaster mixed with sawdust. 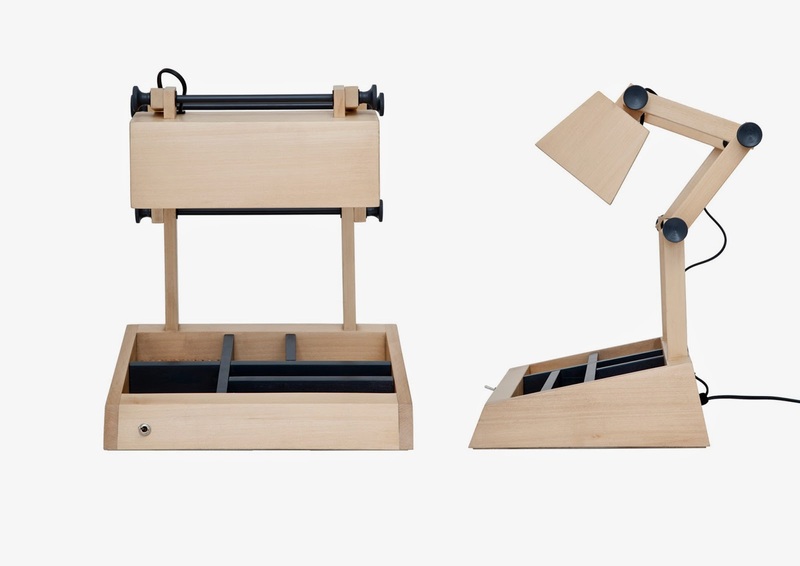 Natty is a desk lamp and an organizer. The neck of the lamp is flexible and can be folded into diverse positions. The base provides different compartments for storage and organization. Materials: Basswood, painted metal details. 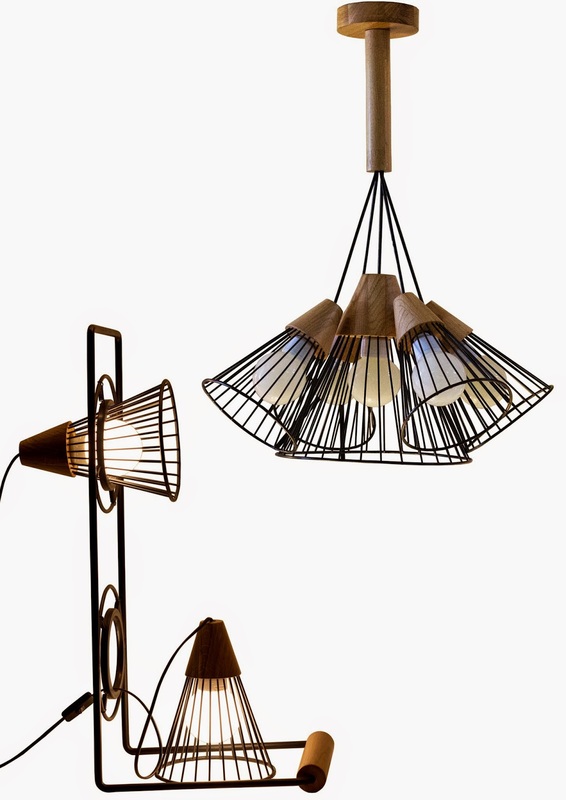 WoodTrack floor lamp is inspired by the industrial track lights, which are always made of metal. The material is altered from metal to wood; the shape of the shade goes back to the basic track lights. Foldable floor lamp is made of basswood with painted metal details. 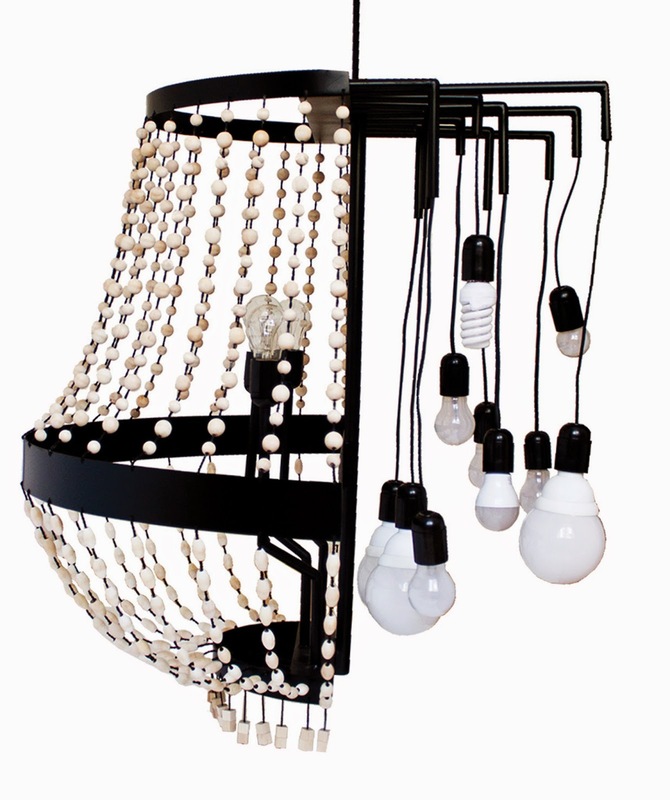 It is a functional lighting piece, suitable for various interior spaces. Materials: basswood and painted metal. 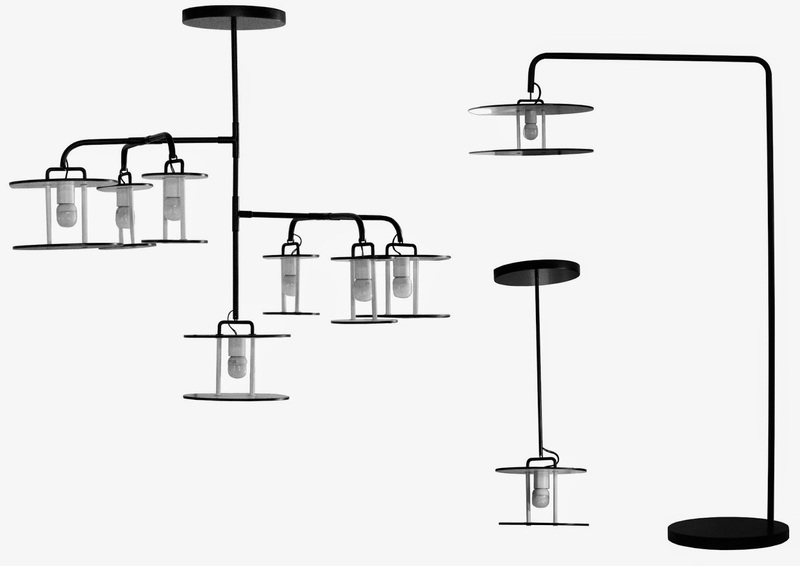 Wirebird family designed for New Light, consists of a chandelier and a floor lamp. Wirebird floor lamp is a simple wire lamp with wooden details. Each lamp shade can be easily removed from the frame and placed elsewhere.Wirebird chandelier- one larger and four smaller wood/wire cones grouped together. Materials: painted metal, oak wood, resin details. Seethrough lighting family is created for a local company- New Light. Simple series of two pendant lamps with extruded wooden outline and glass, which allows the light to go through, creating depth and sense of lucidity.Seethrough floor lamp, the shade suspended from the metal tube, which is a main element of the structure. Oak details, toggle switch. Designed for New Light, lightsha is a self-contradictory lighting family. Simple, yet intricate. Light, yet dark. It is a result of experimentation between shadow and light, white and black, simple surfaces and distinct lines. The family also includes floor lamp and a single shade pendant. 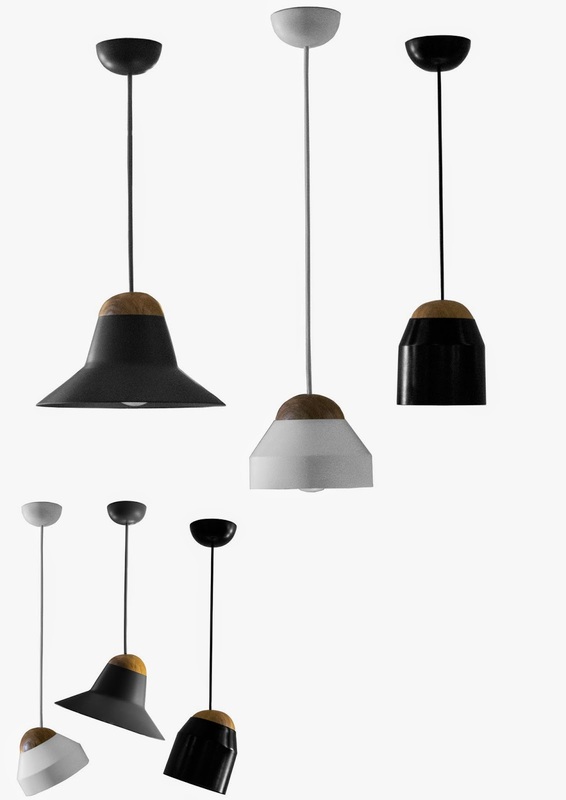 Ballon pendant family is designed for New Light. 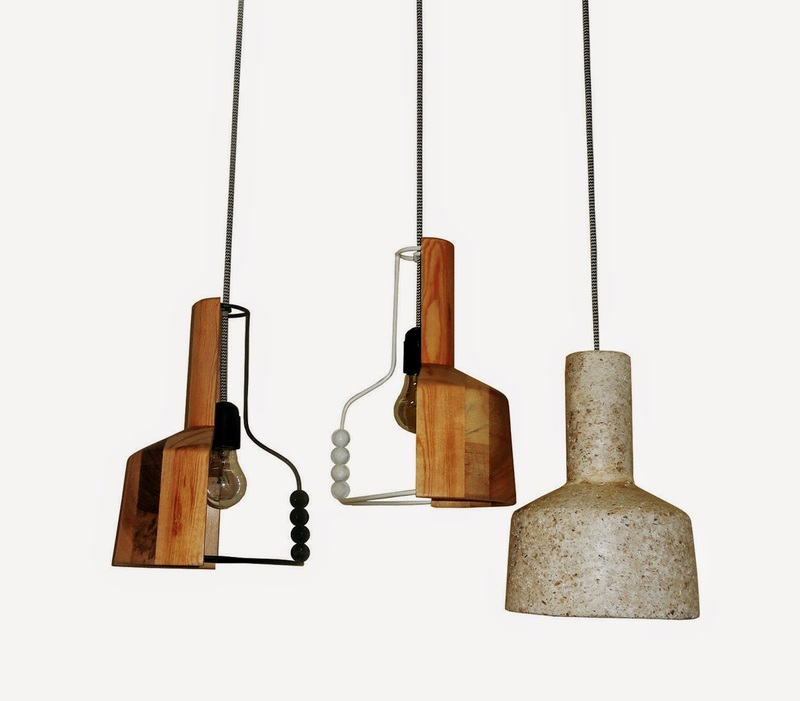 Three pendants with diverse shapes and colors, but same personality. Oak sphere and plastic shade. The shade is completely rotatable and removable from the sphere, one can easily change the light to the desirable orientation. 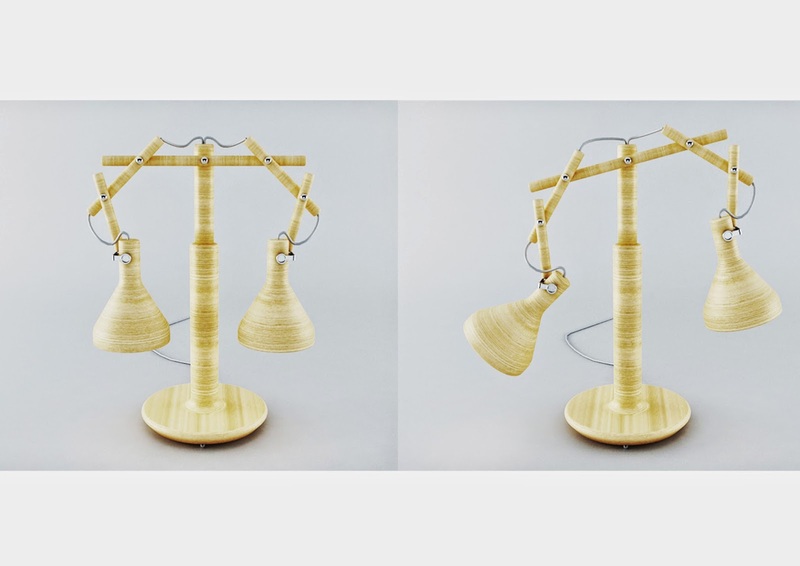 Scale is a wooden lamp with a single base and two shades. Its structure allows numerous variation of movements, it can be tilted, folded in, out, up or down and the shade can be easily rotated. 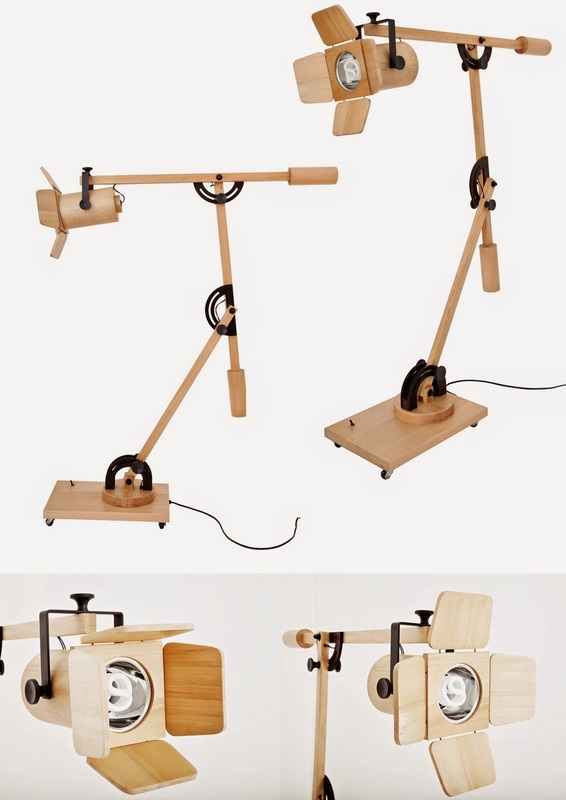 The idea to create the lamp in its present form was inspired by the old balance weight scale. 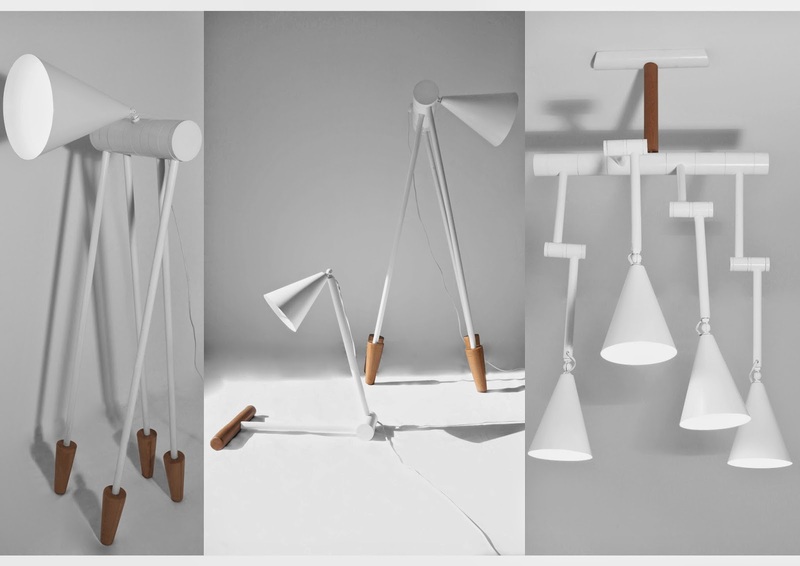 Foldy lamp family is an expression of the love I have for the simplicity and the functionality. Foldy table lamp- simple metal lamp that has a flexible shape and can be easily folded. It can be used for bedside table, desk, and console or even placed on the floor. It is available in different colors. 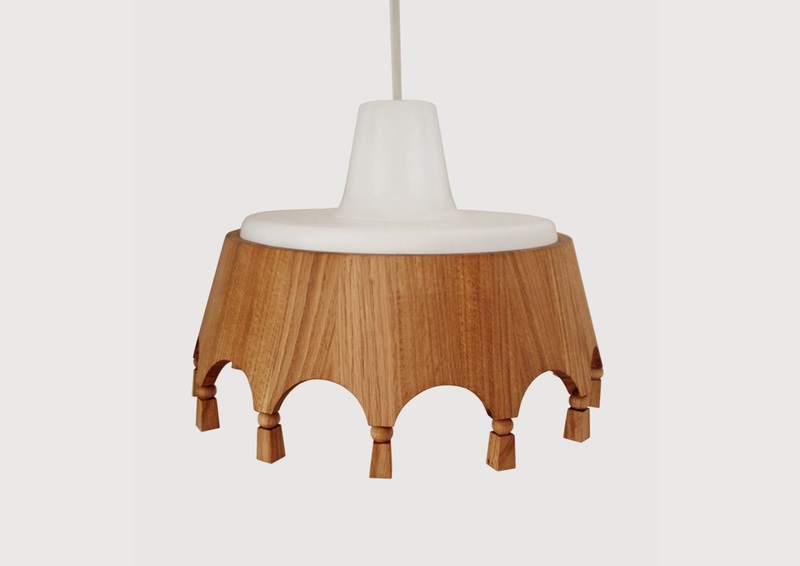 Foldy floor lamp - is a member of the Foldy family. The easily foldable legs have a wooden base, which is a continuous element for the series. Foldy chandelier- can be altered into many different shapes. It has four separate, metal shades and each of them can be folded and rotated separately. It is a very functional piece of lighting that can be suited to infinite types of spaces. The inspiration came from the fabric lamp shades of 1920's and 1930's. The fabric is transformed into wood, changing the aesthetic feel of the lamp from light and airy to heavy and hard. Although the materials differ, the shape is still reminiscent of the past.